Users can use converted .eml file, After convert Lotus Notes emails into Outlook Express EML format using Drag and Drop method. Get all associated attachments and Meta into EML. 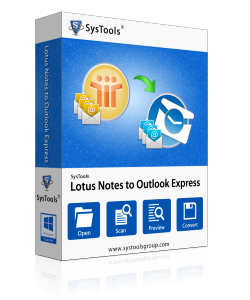 Software allow users to convert selected mail folder of Lotus Notes to Outlook Express to perform on-demand email conversion. Check or uncheck the desired folder while migration process. NSF to EML tool is capable to holds the original integrity of Lotus Notes database. No modification or deletion on the important details. Manage the links, inline images, graphics and attachments. Software maintains similar mail folder structure while saving Lotus Notes emails as .eml file to Local machine. With no change in folder sequence tool convert Lotus Notes mails to EML file format. Software has simple user interface and do not require any technical experience. Even non technical user can easily operate the tool itself as entire process is implemented with easy instructions. After loading the desired NSF file in software, it start the scanning of data and extract all the information of Lotus Notes file. Product also generates the preview of all scanned items in tool window. Is software able to convert emails of corrupted NSF file? No, software does not support to extract and convert corrupted NSF emails into EML file format. Software require healthy NSF file with all admin rights. 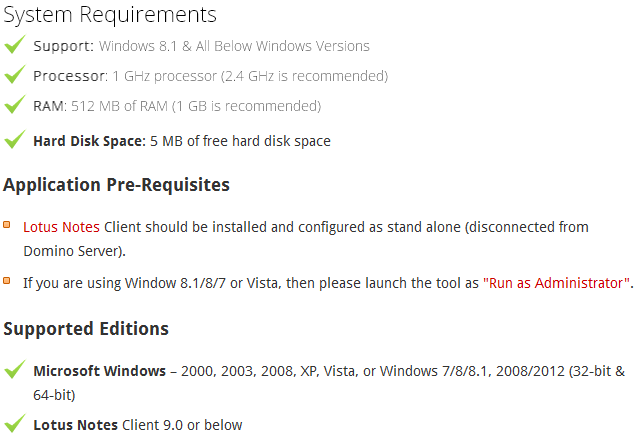 Is any specific edition of Lotus Notes is supported by software? No, Software is designed to convert entire data from all Lotus Notes client editions. Is Outlook Express mail client is necessary to use the product? No, Software does not require any installation of Outlook Express; users can use the app without Outlook Express as EML file is supported by other clients also. Is any limitation in Lotus Notes NSF emails conversion into EML? No, users can browse one NSF file at a time, the targeted NSF file having unlimited mails can easily converted into EML file format. How much time does software takes to convert data into EML? Software offers result in EML format in a very less time, it gives 100% accurate result within short period of time. I would like to appreciate the working of Lotus Notes to Outlook Express converter tool as this has helped me to migrate 250 emails as EML files without consuming much time. All data is in its original form without a bit of data loss. Keep it up guys! What I like most about tool is its interface; there are self-illustrative steps to carry out NSF to EML conversion process. I am new to technical industry and having lots of doubt in my mind regarding working of tool. But soon after using demo version I have purchased the tool. I have need of shifting only inbox emails from Lotus Notes NSF file into eml format to present them in court as evidence for my case. My dream has come true using Lotus Notes to EML converter tool, selective folder export is provided for users. I have tried several third party tools but the results obtained by Lotus Notes to EML converter tool are just unbeatable. All the emails are saved in EML format are in original formatting, integrity and hierarchy they exist in Lotus Notes NSF file format.